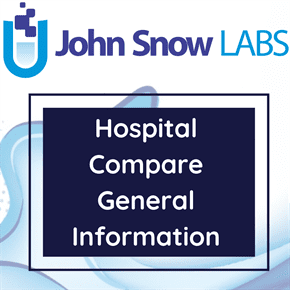 This dataset comprises of General Medical Practitioners (GPs) currently working in England and Wales. It includes name and address information and identifying codes for General Practitioners working in England and Wales. These identifying codes are known as General National Codes (GNC). The NHS Prescription Service use a number called the Doctor’s Index Number (DIN) (allocated by the Health and Social Care Information Centre when a doctor first applies to practice in the UK), to derive a GP’s first General National Codes(GNC); this is prefixed with a ‘G’ and suffixed with a check digit. Thereafter however, if a GP begins to work at further practices (i.e. is working within more than one simultaneously), the NHS Prescription Service allocate further codes not based on the DIN. A GP can therefore have multiple GNC codes, one for each practice he works at simultaneously. If a GP completely leaves a practice before joining a new one, and there is no overlap, then the current code will be retained and just the links within the data updated. It should be noted that the NHS Prescription Service do not always close practices that are inactive; often a practice will be given a state of ‘Retired’ when it has no practitioners linked to it. This is to prevent unnecessary re-allocation of codes to the same practice, as it can be quite common for a practice to be unused for a short while before coming into use again. A status code of ‘P’ for ‘Proposed’ is also used where practices are included within the file prior to their opening. For these reasons, despite the file being described as containing current GP Practices, it can be important to take note of a record’s status.